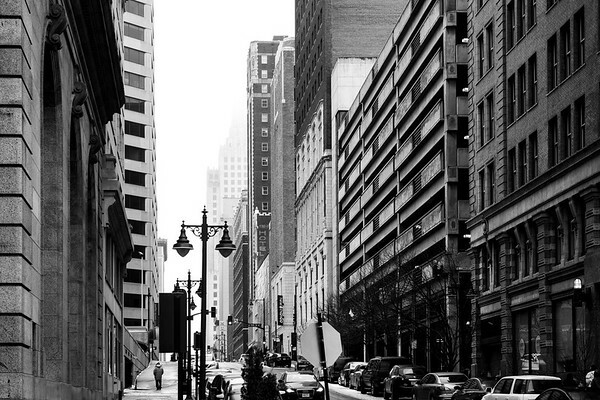 Man on the sidewalk dwarfed by the size of buildings surrounding him. 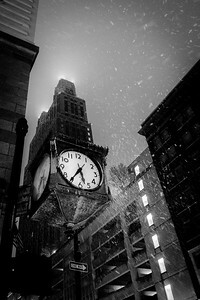 Commerce Clock in Kansas City during a snowstorm. 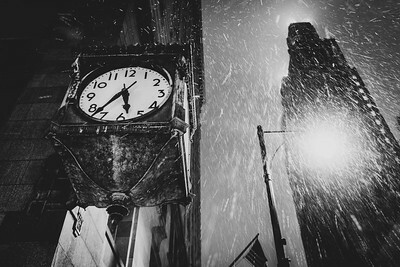 Commerce Clock in a snowstorm. 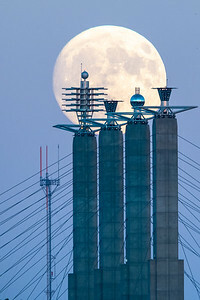 Near full moon rises over the Sky Stations of Bartle Hall in Kansas City, MO. 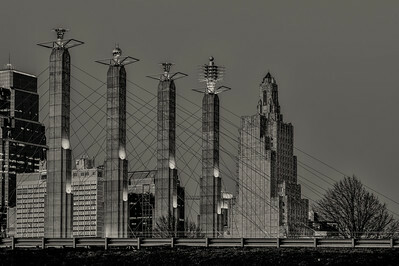 These pylons help support the convention center over the freeway. 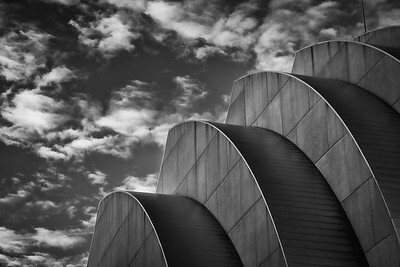 The tops are designed in Art Deco form. 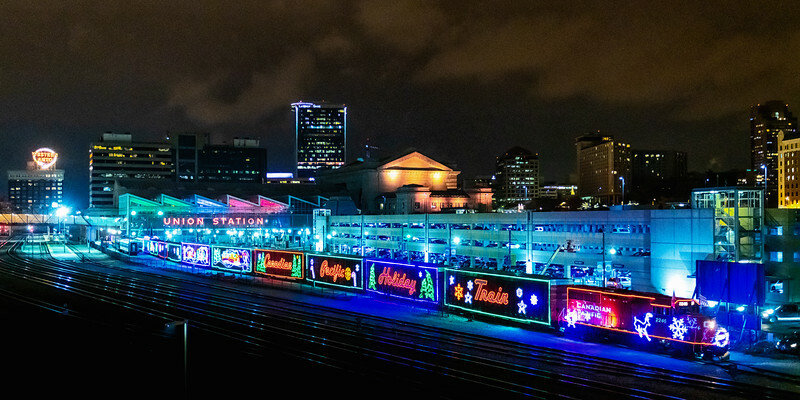 Important: This photo is heavily cropped and does not have my normal resolution. Recommend printing in sizes less than 24 inches on long edge. 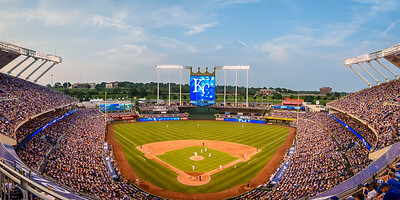 The Royals playing at Kauffman Stadium in Kansas City. 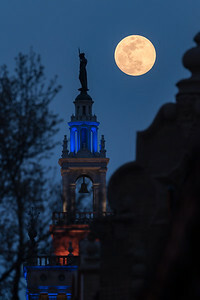 JC Nichols Fountain in Kansas City dyed blue in support of the Kansas City Royals. 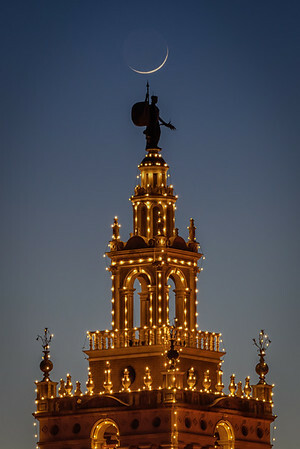 JC Nichols Fountain at the Country Club Plaza in Kansas City, MO. The fountains were dyed blue in support of the Kansas City Royals. 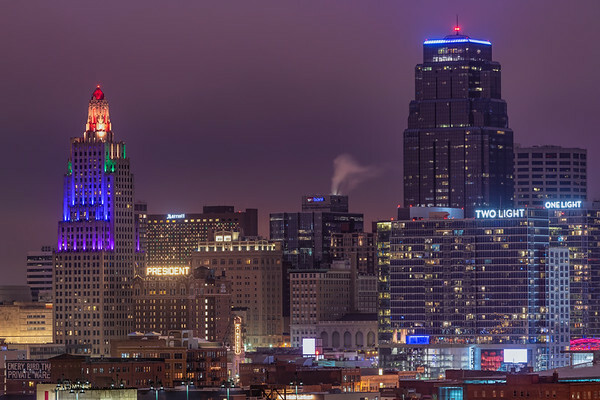 Iconic towers of Bartle Hall and the P&L building in Kansas City, MO. 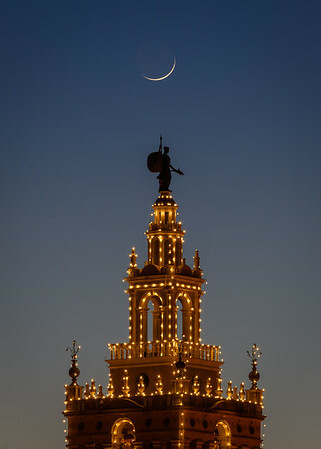 Full moon rising over Country Club Plaza. 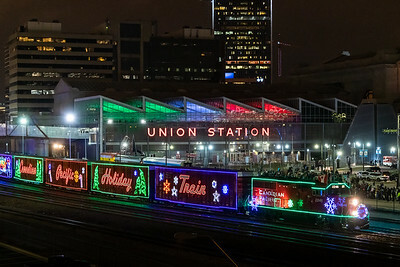 The old (but still used!) 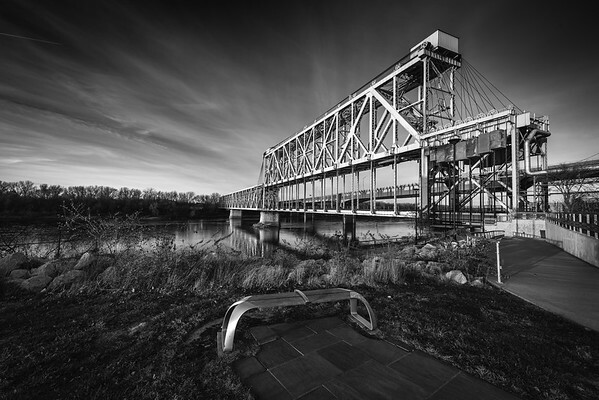 ASB Bridge crosses the Missouri River north of Kansas City, MO. 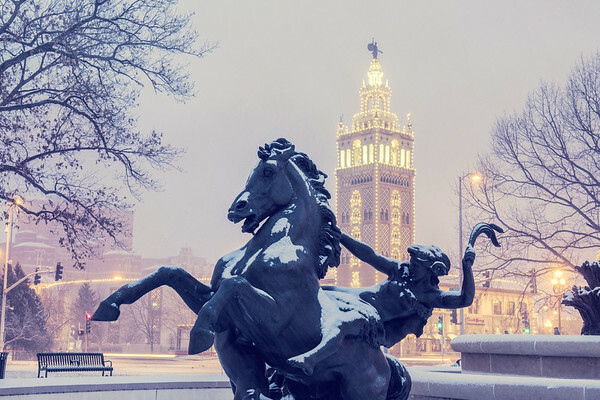 Horse statue from JC Nichols Fountain in the snow. 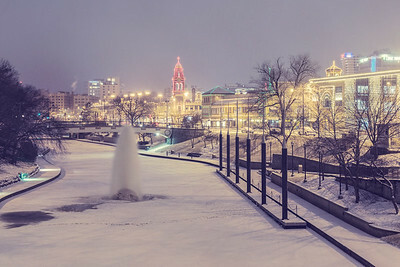 JC Nichols Fountain in the snow. 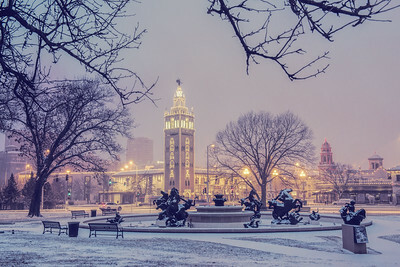 Snow covered brush creek in the early morning hours at Country Club Plaza. 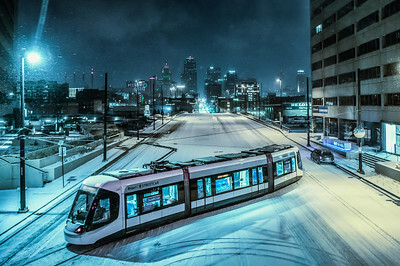 KC Streetcar crosses Main St. in the snow.